The community of Lynnwood, Washington was established 16 miles north of Seattle. The abundance of shopping opportunities and a local community college are some of the reasons residents enjoy living here. The location additionally attracted the attention of logging companies in 1859. Two decades later, settlers began arriving to create a community. Lynwood was named in 1937 by realtor Karl O’Brien who named the destination for his wife Lynn. Shopping OpportunitiesThe shopping districts are located in the northeast, northwest and southern regions of Lynnwood in addition to the heart of the community. Alderwood Mall lies in the southern area of town. Together, the neighborhoods have dozens of boutique and popular chain retail stores offering everything that shoppers might desire without having the need to travel to the metropolis area. Residents have a choice between dozens of eateries that offer everything from fast foods and specialty snacks to fine dining experiences. Local cuisine options span the gamut from American and Mexican to Greek, Vietnamese and other ethnic foods. A trip to Heritage Park provides the visitor or new resident with a glimpse into the city’s history. The Wickers Building once served as the general store and post office in addition to being the proprietor’s home. Over time, the structure was repurposed to being the Wicker Museum. Exhibits include miniature models of historical buildings. The facility also contains artifacts from the community’s early days. At one time, a trolley service provided transportation from Lynwood to Seattle. City folk also traveled to the country to learn agricultural topics. After retirement, one of the trolley cars was used as a local diner. Now, the car is on display in the park and offer seasonal tours. Throughout the year, the Lynnwood Theater offers live concerts, plays and other theatrical performances. On designated evenings in July and August, the local arts commission offers live Shakespeare plays at the Lynndale Park Amphitheater. The art gallery in City Hall provides exhibitions of works on a regular basis. Pieces depict the creations of local and regional artists. The Youth Art Gallery situated in the Recreation Center displays the amazing works created by area youngsters. The community boasts a wide variety of small, neighborhood and community parks and open spaces that feature recreation opportunities for residents of all ages. Park amenities range from playground and picnic areas to athletic fields and sports courts. There is also a recreation center and outdoor swimming pool. The local parkland spans more than 350 acres, which includes more than 14 miles of hiking, walking, jogging and cycling trails. Nearby Lake Stevens remains the largest body of water in the Washington state county and features eight miles of shoreline complete with sandy beaches and boat launches. Activities regularly enjoyed here include boating, fishing and swimming along with canoeing, kayaking and windsurfing. The four rivers found in Snohomish County are popular for rafting trips. Various venues offer day, overnight and extended river excursions. The Municipal Golf Course has a beautifully landscaped 18-hole course that provides novice to experienced players alike the chance to get on the green. The facility is open year round and additionally has a comprehensive Pro Shop to supply all your playing needs. Instruction is also available for interested parties. The Brunswick Majestic Lanes offer billiards, modern bowling and video game fun along with providing snacks and beverages. The Bowl & Sake features a 24-lane bowling area in addition to having a roller skating rink. The Ice Arena boasts a state-of-the-art sound system and skate rentals for figure skating or playing hockey. The facility also has a snack bar. The Family Fun Center offers indoor and outdoor activities that include arcade games, batting cages, bumper boats or cars, go-karts and miniature golf. The location also features a family restaurant. The WhirlyBall facility offers basketball, bumper cars and Jai-Alai along with snacks. The AMC Loews Cineplex Alderwood Mall 16 and the Regal Alderwood Stadium 7 present blockbuster and 3D movies in an upscale surround-sound setting with modern seating. Hot foods, quick snacks and beverages are also available. 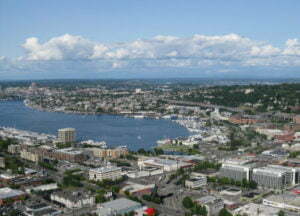 The Seattle suburb lies in the western Washington region on a plateau overlooking the Puget Sound. As of 2015, the U.S. Census reported a population of 36,997 residents. Compared to comparably-sized cities in the state, the overall crime rate here is much lower. The unemployment rate is also lower than the state average. These factors have attracted many newcomers in recent years. The diverse population is comprised of residents having many different ethnic backgrounds, which includes Asian, Hispanic and African-American people. More than 29 percent of the adults have an undergraduate degree. Nearly eight percent have a graduate or professional degree. The fascinating history of the community dates back hundreds of years. However, local homes and business buildings began emerging in the late 1800s. The community is a wonderful blend of historic neighborhoods blended with modern construction. Statistics indicate that the city is continually growing. According to the U.S. Census, the average household income as of 2016 was $57,069. As of January 2018, the average cost of a home was $392,900. The average monthly rent for a 3 bedroom, 2 bathroom property was $2,100. Our property management team specializes in residential areas throughout Lynnwood, WA. We offer multiple services to take your rental property and convert it into reliable income. We have a thorough screening process that helps to identify the right tenants for your property. Our team works hard to keep both parties happy through effective communication, bullet proof lease agreements, and timely monthly rent collection. We offer maintenance services to enhance the property and ensure that it will retain or increase in value. We oversee everything, allowing you to sit back and relax and know that your property and your tenants are in good hands. Contact us today if you are ready to receive a comprehensive analysis of your rental property and to inquire about our Lynnwood area property management services.